A recent article in the Financial Times demonstrated the dim view that many CEOs have of the PR industry, highlighting that they believe PR professionals do little than “provide a bland message” and “add corporate-speak”. The PR industry faces a considerable challenge to its long-term existence and needs to take swift action to prove its value to clients and the wider business community. In the FT article, one Communications Director for a listed European technology company stated that their company wastes tens of thousands of Euros a year on external PR companies: “I have no idea what they do for us”. PR has long been covered by a veil of secrecy as practitioners are apprehensive over revealing their expertise for fear that they will lose their clients. Yet, it is this very approach that is holding PR back. By introducing greater transparency, regularly updating clients on your activities and progress, and by training them to recognise the benefits of and opportunities for PR, then the industry can overhaul its negative public image. A jack of all trades, but a master of none. 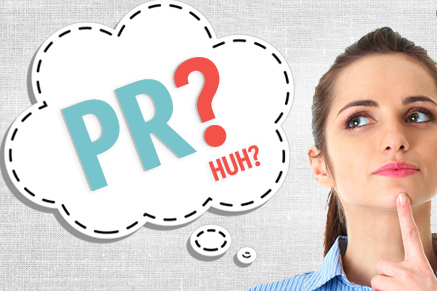 The truth is that with time and aptitude, anyone can do what a PR professional does. Yet this shouldn’t instil fear, it should be a motivation to prove our worth. While our clients know their business inside out, a little perspective from an external organisation can be the key to unlocking unseen potential or reaching a new audience. Furthermore, we can show off the best attributes of a business to the right audience and in the best possible manner better than anyone else. We have the creativity, writing ability, and journalistic and business connections to help a company grow and to set it apart from its competitors. This isn’t an ego-trip, it’s a fact and one that we need to show to the business community to make them realise the benefits of PR support. PR agencies are cut-throat by nature and are all chasing the same opportunities. In order to gain an advantage on a competitor, one agency will often over promise and under deliver. This leaves a very sour taste in the mouth of the client and one that will last long. As we all know, coverage can never be guaranteed and while beating your rivals is essential to keeping your business afloat, such a short-sighted view is incredibly harmful to the industry. Be honest with your clients. Don’t over-promise, don’t claim you can do something you can’t, and don’t pitch for an account you can’t deliver on. In my opinion, the PR industry as a whole and the governing bodies need to take this article and the current perspective of public relations very seriously. It may only be a start, but accessible tools for businesses currently or looking to use PR such as a guide to what to expect, what PR can fulfil at its best, and the potential pitfalls to look out for from a bad agency would be a valuable addition to improving our image. It’s time to increase the transparency of the industry to promote greater trust from the business community. Providing clarity on fees, being honest and open with clients and metering their expectations will all help to reduce the notion that PR is a secretive sector driven by black magic and a hunger for profit. We all need to act now in order to change the reputation of our industry before it comes undone.